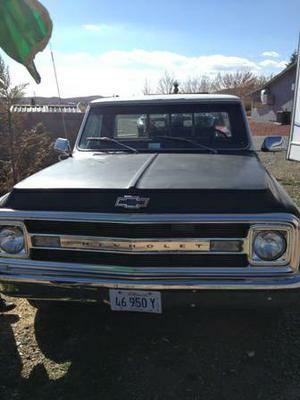 2/22/2014 (Cordes Junction, Arizona) - I have a 1969 Chevy Custom Sport Truck for sale. The truck body has about 90000 on it. 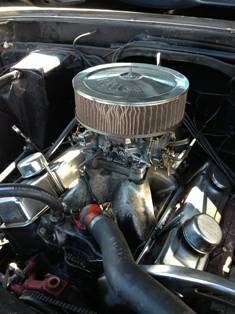 Last summer I put a 350 Jasper Vette motor with 40000 in the truck. New parts include: Radiator Clutch Battery Heater Core and Carb. 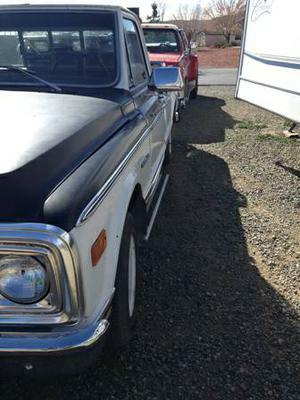 The truck is a 3 speed on the column with overdrive. The AM/FM 8 track is still in the truck at this time. I do not have it hooked up but it does work. The truck has no power steering or air conditioning. The seat has no rips or tears it is reflection from sun. Have the new rocker guards for it as well. All the glass is good, windshield is about 4 years old and has sliding back window. 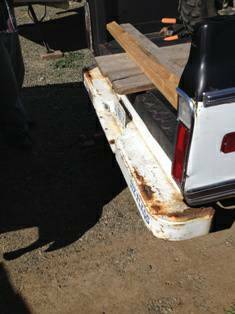 There is some rust in the bed and the back bumper. Tires are in fair shape, one new and three used. There is small crease by drivers side tail light. Will consider trades of motorcycle or family car of same value. If you have any questions you can email at lynnnance1961@gmail.com or call or text 618 559 4244. If you want more pictures let me know. I have an out of area phone number but live in Cordes Junction, AZ.